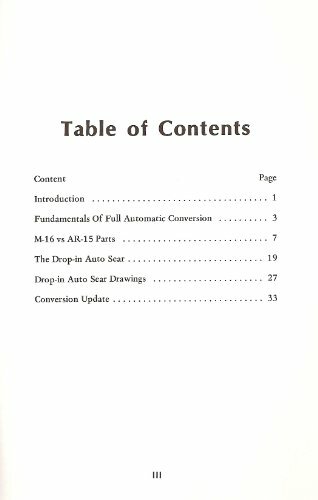 Here, in one book, are the full plans and instructions for the conversion to selective fire of 7 of the most popular weapons. 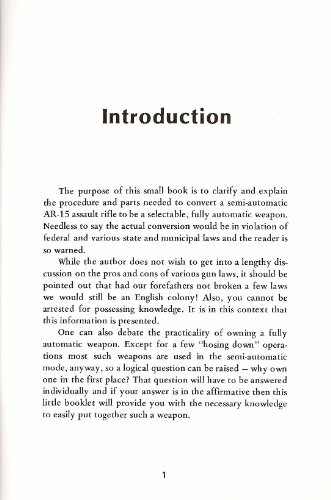 Includes plans for the HK 91, HK93, Mac-10, Mac-11, AR-15, Mini-14 and the M1 Carbine. 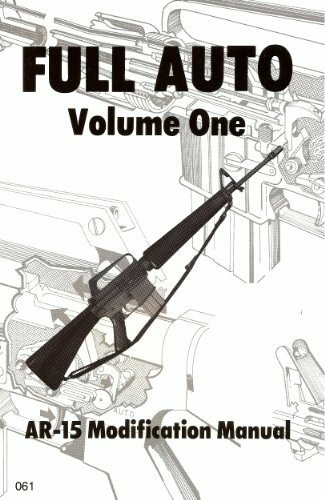 51/2 x 81/2, 71 pages, softcover, illus..